What exactly makes Trieste so unique? Situated on the very edge of Italy, Trieste lies at the crossroads of Italy and Slovenia, close to both Austria and Croatia. 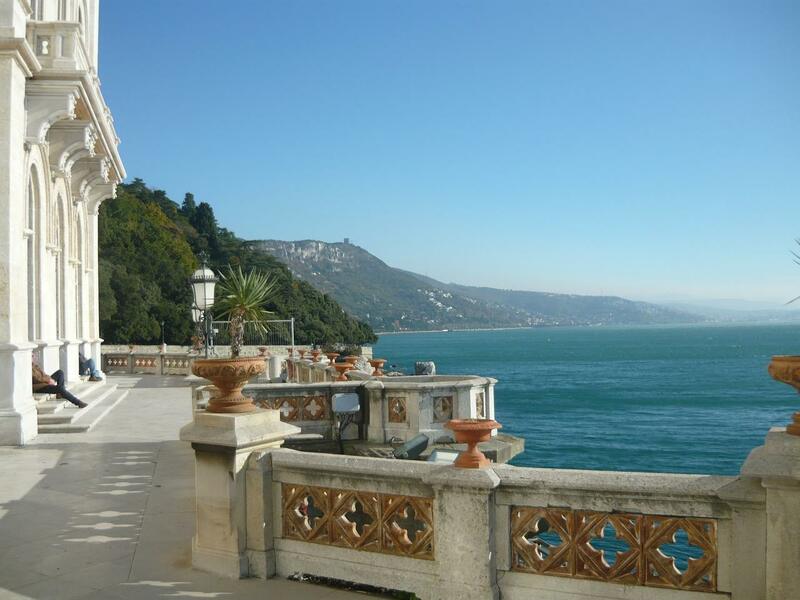 In short: Trieste is on the crossroads of Central and Mediterranean Europe. Embraced by green hills on one side and the Mediterranean Sea on the other, with the snow-capped Dolomites piercing the horizon to the north, not many cities can claim to have such a majestic setting. Tumbling down to the Adriatic from a karstic plateau and almost entirely surrounded by Slovenia, the city is physically isolated from the rest of the Italian peninsula. The streets hold a mix of monumental, neoclassical, and art nouveau architecture built by the Austrians during Trieste's days of glory, granting an air of melancholy stateliness to a city that lives as much in the past as the present. Unlike most of Italy, Trieste has historically been very multicultural. In fact, at the turn of the century, Trieste had more Slovenes than any other city – despite not even being in Slovenia. Thanks to its historic links to Austria, the city was also home to many German speakers and there were substantial communities of Serbs and Greeks as well. When visiting Trieste, it often feels like visiting many countries at once - from the Slavic dialects you are likely to hear in the streets to the appearance of goulash and Viennese pastries (think ‘apfel strudel’) on cafe menus. One of Trieste's most vaunted sights is the Castello Miramare, a 19th century castle of white Istrian stone perched above the Adriatic. The castle is located about five miles outside Trieste and is open to the public all year round.